We are preparing for the second issue of the magazine, due on February 15th 2016. The work is exciting, we have received lots of submissions and a lot of them are fantastic! We are also very satisfied seeing how many have come and read this magazine, enjoying the works of so many good poets and writers. It was a literary fest, I can say. Now, we also have a huge surprise for you: one of our writers, Scott Hotaling (I do hope you read his short-story "Soldier", which I enjoyed immensely), volunteered to create and manage the twitter account for the magazine. 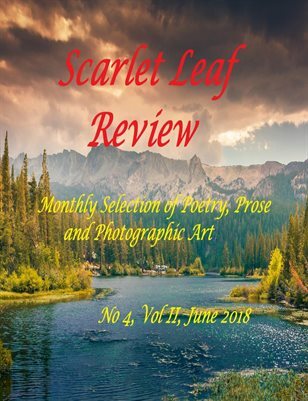 So, please, follow us at: @ScarletLeafMag. Tweet to us! Let others know we'd like to hear from them. I want to thank Scott for taking upon himself the creation of the account and for offering to manage it. Thank you, Scott! You not only made my day when I read your story but you also made my day when you offered to do this for the magazine!